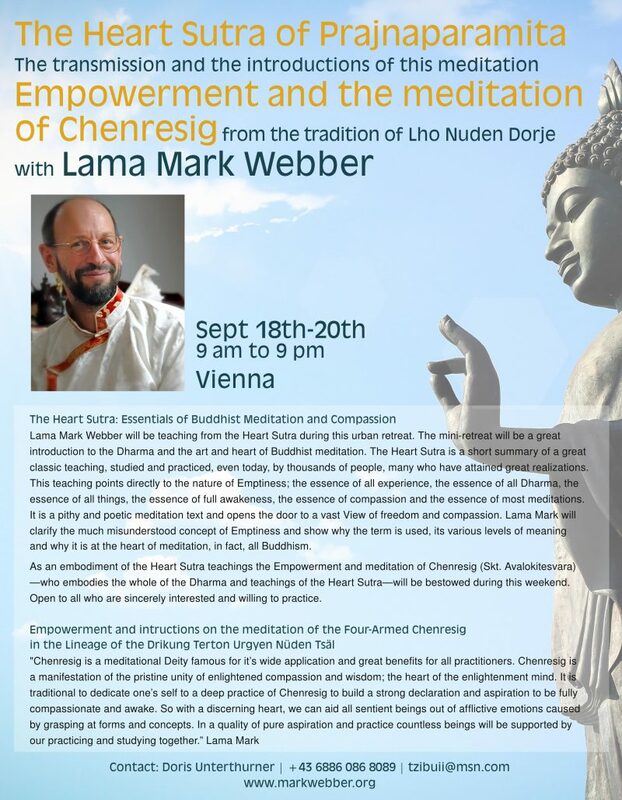 Lama Mark Webber will be teaching from the Heart Sutra during this urban retreat. The mini-retreat will be a great introduction to the Dharma and the art and heart of Buddhist meditation. The Heart Sutra is a short summary of a great classic teaching, studied and practiced, even today, by thousands of people, many who have attained great realizations. This teaching points directly to the nature of Emptiness; the essence of all experience, the essence of all Dharma, the essence of all things, the essence of full awakeness, the essence of compassion and the essence of most meditations. It is a pithy and poetic meditation text and opens the door to a vast View of freedom and compassion. Lama Mark will clarify the much misunderstood concept of Emptiness and show why the term is used, its various levels of meaning and why it is at the heart of meditation, in fact, all Buddhism. 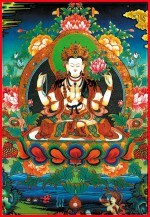 As an embodiment of the Heart Sutra teachings the Empowerment and meditation of Chenresig (Skt. Avalokitesvara)—who embodies the whole of the Dharma and teachings of the Heart Sutra—will be bestowed during this weekend. Open to all who are sincerely interested and willing to practice. Empowerment and intructions on the meditation of the Four-Armed Chenrezig in theLineage of the Drikung Terton Urgyen Nüden Tsäl.